Share, celebrate, remember: our memorial events are a touching way to remember your loved one and meet other families giving in memory. Join us at our Tree of Tribute events: a thank you for everything you’ve done to help change the lives of everyone affected by blood cancer. 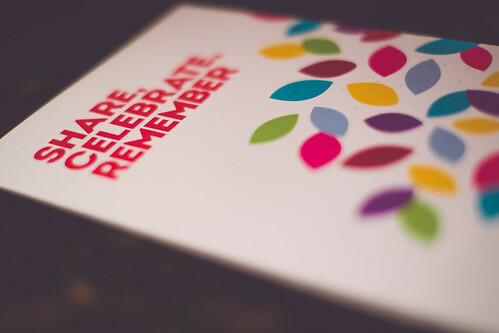 We’d love you to come along to one of our Tree of Tribute events to thank you for everything you’ve done to change the lives of people affected by blood cancer. We’d love to meet you and show you how the gifts you’re giving in memory of your loved one are supporting families affected by blood cancer. You’ll have the opportunity to meet with other families giving in tribute and have space to remember your loved one with a leaf on our Tree of Tribute. In 2015, we held our very first Tree of Tribute events: one in Stockport and one in Binley. Take a look at our Flickr gallery to see some of the photos from 2015's event. Our 2016 events will take place this autumn. If you have any questions or would like to find our more, get in touch or call 0131 524 1323. If you've like to set up a Give in Memory pages for your loved one, visit JustGiving to get started.